1). 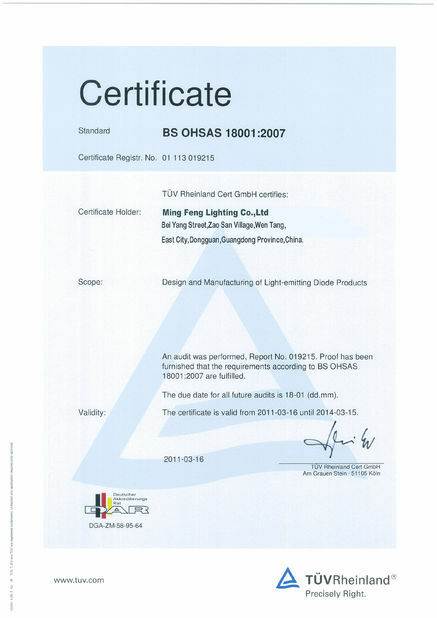 Light Source: CREE CXA2530 COB/ CXB3590 COB for optional. 5). Optics: 90 degree optical lens direct light downward to magnify par and increase canopy penetration up to 200%. 7). Warranty: Design lifespan > 50,000Hrs, 3 years warranty. 9). 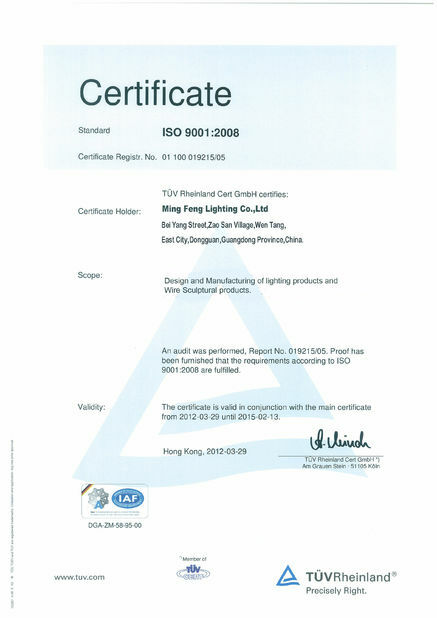 Recommended hanging height: 12"-36"
Ming feng lighting co.,ltd 620Watt weed grow lights can replace 1000W HPS as well, with the USA made high intensity CREE COB + high power supplemental dual core BRIDGELUX 5W LED. 6 band sun spectrum, 85-265Vac operation, available for global market, widely use for indoor plants, medical plants, garden/bonsai, Hydroponics,greenhouse, seeding/growing/blooming/fruiting, farm show/garden show...etc. 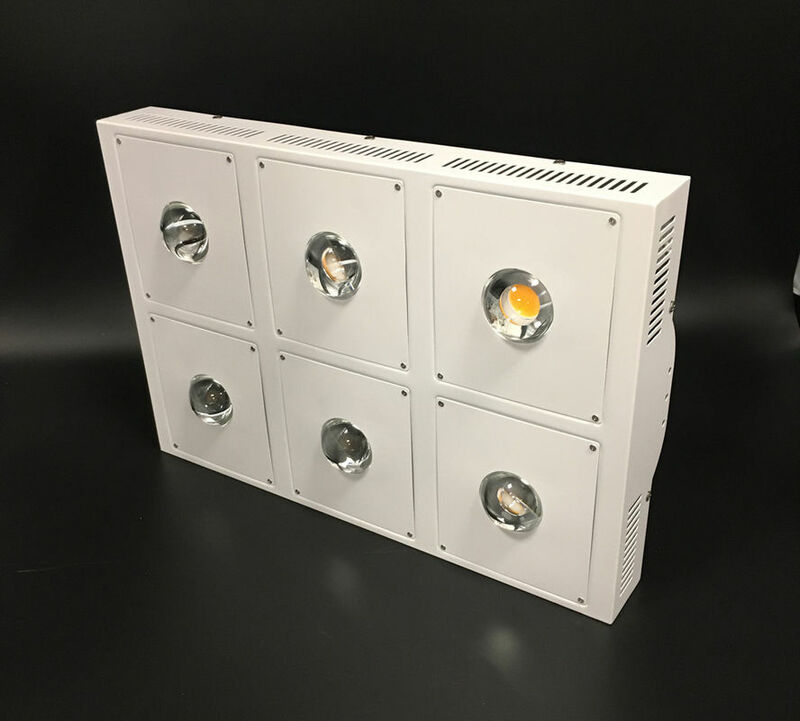 The 620Watt weed grow lights have 6 x 120mmdual ball bearing colling fans, which make the lamp body less heat, and easy install of the wire hanging kit for suspended mounting. 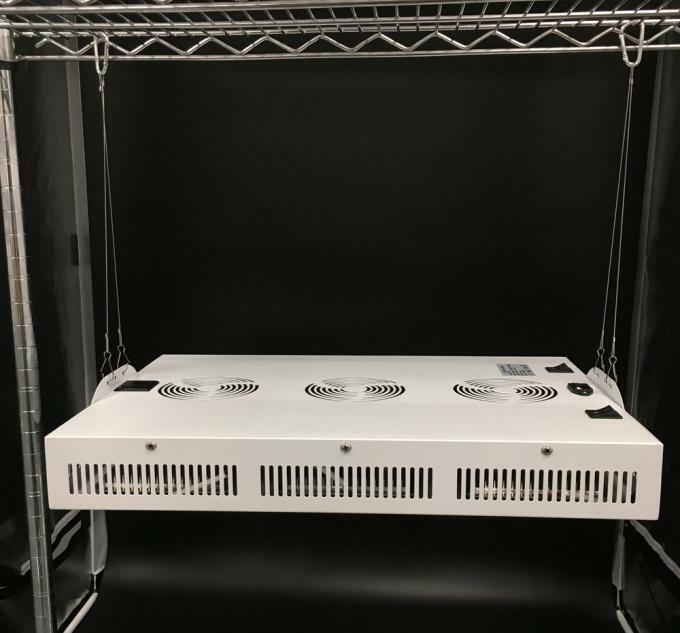 The 620Watt weed grow lights have special damp-proof treatmen, people can don't worry about the humidity at all. a. True White Grow Technology: Delivery the Sun-like spectrum ideal for both vegetating and flowering stages. Ture Full Spectrum: Suitable for all grow stages,UV and IR included. 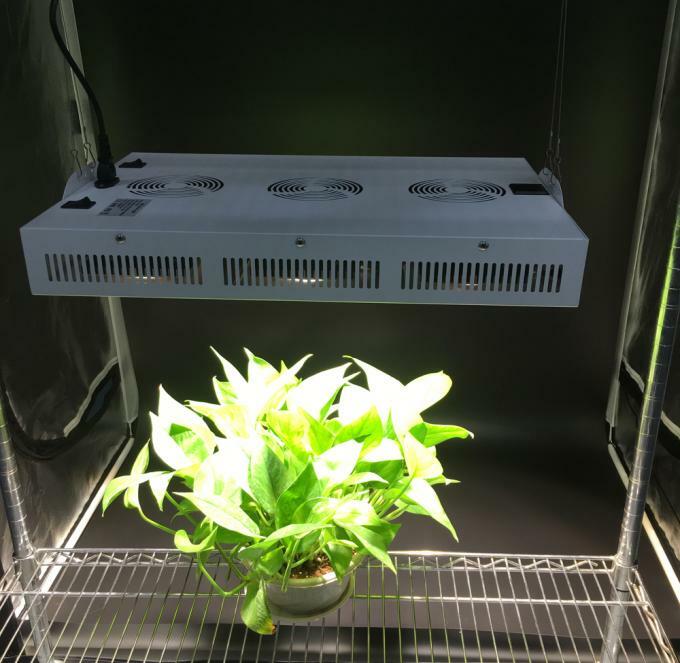 b. CERE COB: Mounted with priority optical 90 degree lens which improving usable spectral wavelengths and ensure powerful, ultra bright and strong down light for plants. c. Modular System: Easy to operate for a uniform lighting coverage. d. Unique Hanging Style: Easy and useful for commercial growers. e. Power Efficiency:More than twice lumensand PAR level compared to MH/HPS. CREE CXA2530 COB/ CXB3590 COB for optional.